It’s been almost a year since I wrote “The Gphone is coming; how Google could rewrite the rules.” And during this time I’ve wanted to give Google the benefit of the doubt for choosing its Android strategy over developing the phone itself. But I can’t. It’s the wrong strategy. Whether the Google phone comes out in September, or later this year, or sometime in early 2009, it really doesn’t matter. 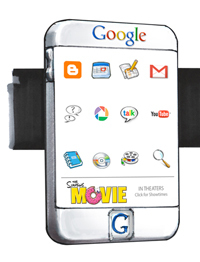 All this bickering over supposed hardware delays, software issues, and hurt developer feelings has me wondering how Google would have fared if it had taken a different path and developed the Gphone on its own. Why should Google do this? Product design and development are hard enough. While I love the concept of open source and open development, I don’t believe it’s possible to manufacture and bring to market a product of this magnitude in a completely open environment. 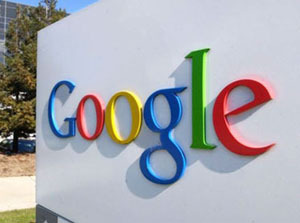 Google, in fact, has been criticized for allegedly trampling on open source principles. So? For Google to truly deliver a game-changing phone — like Apple did with the iPhone — it needs to run roughshod over the hardware and software development. Funny, but Apple gets criticized for being tight-fisted, yet everybody praises the iPhone for its industrial design, elegance, ease of use, fit and finish, user interface, and a wonderful user experience. What “open” products can you say that about? Google chose to form a broad industry partnership known as the Open Handset Alliance and to develop its own open operating system, Android. But no matter how cordial the partners are, each has its own agenda. For example, how will a Gphone fit into Samsung’s existing line of products? Will it carry Samsung’s current design language and brand, or will a new one be established for the Gphone? If so, how will that impact Samsung’s brand? Will the phone be co-branded? Substitute Samsung with HTC, LG, Motorola, Sony Ericsson: They all have established design languages and brands. Will “1,000” similar but different Gphones confuse consumers more than the smart phone market already does? The manufacturers not only have self interests, but so do the carriers who, in the past, have exerted tremendous influence over the hardware, operating systems, and applications that run on their networks. What are the carriers like T Mobile and Sprint willing to accept? To get involvement from the U.S.’s two largest carriers, AT&T and Verizon, what concessions have to be made? Will they all use the same flavor of Android? Or, since Android is supposedly open and customizable, will there be 1,000 different interfaces for 1,000 different Gphones? Google isn’t doing this to be charitable. Google is developing Android and pushing for open standards in the mobile industry so it can further its brand, products, and services, all the while making boatloads of money. How will Google’s goals be interpreted by the hardware guys and carriers? Will their solutions be consistent with the Google brand? What if a hardware maker or a carrier wants to do something different? So. Companies evolve all the time, doing things they didn’t start out doing. General Electric didn’t start off selling plastics or owning a television network. General Motors sold cars, not car loans. Microsoft was a software company, but it ended up developing innovative computer accessories and the Xbox, one of the world’s leading game consoles. Google develops products all the time. Granted, there are differences between physical and Web-based products like Google Search, AdSense, Google Maps, and Google Docs, but all share the fundamentals of research, design, engineering, prototyping, manufacturing, sourcing, marketing, promotions, project management, and so on. The Google Guys are no dummies. While they develop products in a perpetual “beta” environment — which means they don’t always hit home runs — they still have delivered the most-used search engine on the Internet, the leading Web advertising platform, and are at the forefront of Web 2.0 apps like Gmail and Google Docs. Again, so what. Google has more money in the bank than most countries. What’s a few hundred million to these guys? How would Google do it? 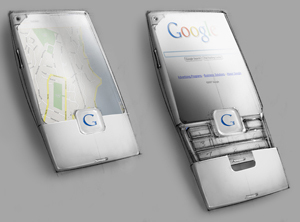 Design the Gphone completely in house, which Google wisely did not do for obvious reasons. Buy someone else’s phone and rebrand it the Gphone, which Google wisely did not do because, whenever you buy someone else’s product, you inherit baggage and legacy. The Gphone is supposed to be new and innovative, not yesterday’s product of the moment. Have an ODM or OEM, original device or equipment manufacturer, design and develop the Gphone, which Google also wisely did not do because the track records of ODMs and OEMs are often bland, boring, void of character. Form a skunk works-like team of insiders and outsiders dedicated to creating the greatest, most innovative mobile phone on the planet. Sadly, Google didn’t choose this option. Instead, Google chose the “easy” or “safe” way out: do the operating system and let everybody else develop the hardware and applications. Maybe this is Google’s attempt at a new open product development platform. What would a skunk works look like? Companies form product development relationships all the time. Yes, these can be risky, especially when underfunded, poorly managed, crippled by ego, and hampered by self interests. Even so, I wonder if Google and its Mobile Dream Team could do better than what’s being done now. As far as management, Google has few people with any experience developing mobile or physical products. But you can’t tell me Google isn’t smart enough to canvas the mobile, design, and product development industries to find the brightest and most creative minds willing to work on the next great cell phone project. There’s got to be some smart people left in the mobile industry. There’s got to be another Design God out there like Apple’s Jonathan Ive. There’s got to be enough talent tucked away at a design firm like IDEO, or frog design, or Astro, to help Google bring the Gphone to fruition. In the end, I’m left with this scenario. Google forms its Mobile Dream Team, gets the project in order, and does things right without rushing too much or over/under spending. 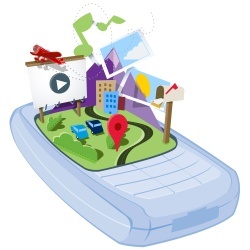 The Mobile Dream Team works closely with the world’s leading cell phone manufacturers. Maybe they come up with two form factors — one with a BlackBerry-like keyboard, one all-touch like the iPhone. They establish a consistent Gphone design language that can be executed between manufacturers. The Mobile Dream Team also works with a few top software developers to write slick core applications based on Android. This is not at the exclusion of other coders, who are working alongside to introduce polished, bug-free third-party apps a short while after the debut of the Gphone. And while all this is going on, Google’s worked behind the scenes to make sure the Gphone is available on more than one carrier and any model can be used on any network. Re your statement that “’1,000′ similar but different Gphones” could potentially confuse the customer – don’t we already have 1,000 similar but different Windows Mobile phones already? I will grant, however, that you have a point with Apple. Despite our love for open this and open that, our darling is one of the most proprietary companies out there. Windows Mobile may be a great example of where the Android strategy could fail. See my recent HTC Touch Diamond review. There is also the risk that Android could become fragmented if carriers decide to omit certain APIs or limit possible features. There is the risk of fragmentation? I realize that Android’s going for open source, but there is still some level of copyright involved, so couldn’t (and shouldn’t) they make hardware providers place the whole OS on the devices? I agree with your conclusion that Google should have designed its own Gphone. In my opinion, they didn’t for one of the reasons that you stated in your article–most of Google’s products are in a perpetual beta state. It’s far easier to iterate software than hardware. They would have had to get the Gphone right the first time, or the credibility of the entire project would have gone down the tubes. Think about it–if the original iPhone had been a dud, no one would have been waiting in line for the 3G version. I don’t think that Google expects the first versions of Android-based phones to be killer products, but they expect them to become killers over time. Google’s executives probably expect that this will be a three- to five-year process. However, if Android doesn’t come out strong and gains a user and developer following quickly, it may not be around in three to five years.